Almighty and most merciful God, we have taken up the name of your faithful and holy servant, Saint Gregory the Great, whose life exemplified his motto, Servant of the servants of God: Grant us the guidance of your Holy Spirit in our lives and works, that we may possess our patron’s zeal and devotion to your holy Church; that through our efforts your people may come to live in that spirit of devotion: Soli Deo Gloria — to God alone the glory; and this we ask in the name of Jesus Christ your Son our Lord, who lives and reigns with you and the same Spirit, one God, now and for ever. Amen. 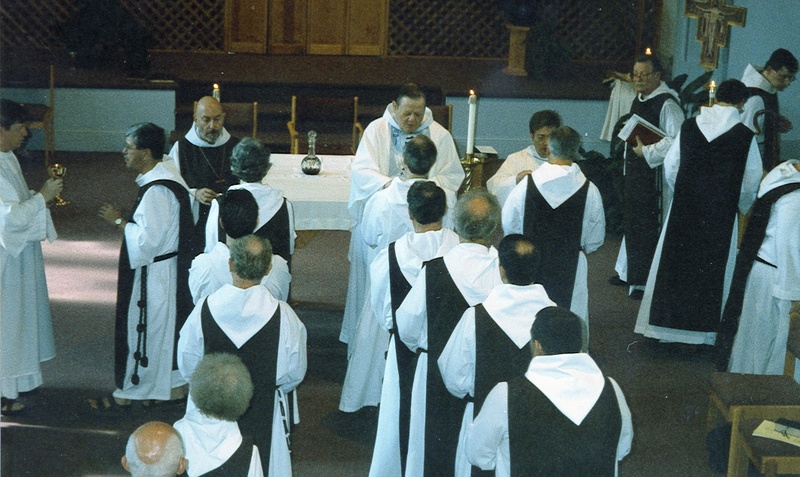 The Brotherhood was founded on Holy Cross Day 1969, by Richard Thomas Biernacki, the present Minister General, after consultation with many Episcopal and Roman Catholic religious. Among the latter the Sisters of the Visitation were particularly helpful and encouraging. It was in their Riverdale, New York, monastery chapel that the first members made profession of vows to the Brotherhood’s chaplain, The Rev Thomas F. Pike. 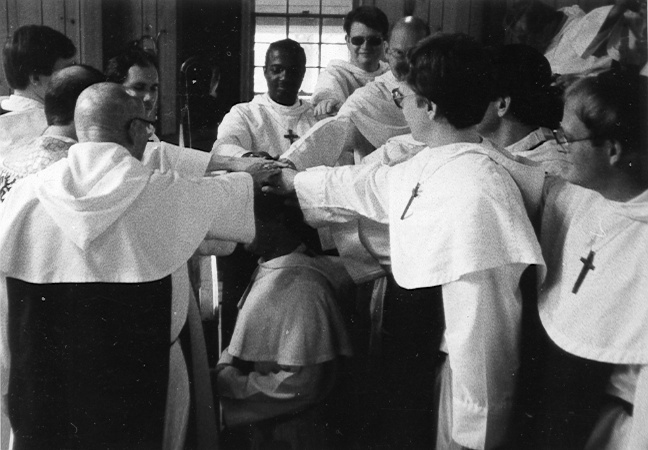 Later that year, Bishop Horace W. B. Donegan of New York recognized the Brotherhood as a Religious Community of the Episcopal Church. 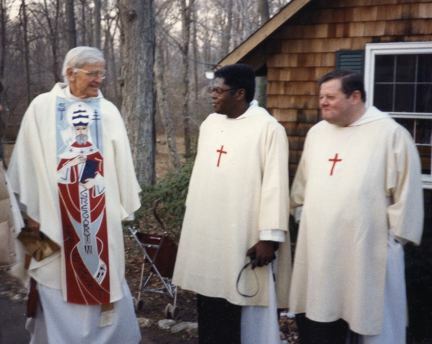 Upon his retirement, his successor, Bishop Paul Moore, Jr., became Visitor to the brothers, whom he came to call the “Flexible Friars.” He was succeeded by Bishop Walter D. Dennis, Suffragan of New York. 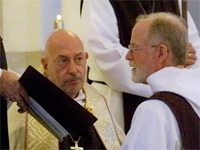 The present Visitor is Bishop Rodney R. Michel, assisting bishop in Pennsylvania. The Brotherhood communicates with the church in part through The Servant, a quarterly publication of meditations, homilies, poetry, theological reflection, criticism, and news of the community. 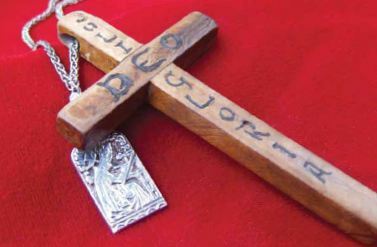 The Rule requires weekly participation — daily if possible — in celebrations of the Holy Eucharist, daily recitation of the fourfold office of The Book of Common Prayer, daily meditation, regular theological and biblical study, Embertide reports, and attendance at the annual convocation and General Chapter, when the community gathers from around the country for a time of prayer, counsel and fellowship. Poverty means devoting the fruit of one’s labor to the service of God, and entails the tithe in support of the church and the Brotherhood. Chastity is living with all in love, without possessiveness or the desire to control, and entails either celibacy or fidelity. Obedience is setting aside self-will in following the requirements of the community and the church. This modern interpretation of the religious life is rooted in Saint Gregory’s Pastoral Care, Saint Francis’ Rule for All the Faithful, and Saint Francis de Sales’ Introduction to the Devout Life. It embodies the integration of worship and work, contemplative prayer with active ministry. The Brothers Shall be Mothers. . . This line from Saint Francis’ Rule for Hermitages describes an exciting development in the history of the life of the Brotherhood. A 1987 resolution of Chapter authorized the development of a Christian Community-in-formation, the Companion Sisterhood of Saint Gregory, under the sponsorship of the Brotherhood. In 1999 this community became independent, taking the name The Sisters of Saint Gregory. This community affords women who are called to the Gregorian Way an opportunity to fully live out that life.